Due to the Phantom Regiment travel schedule and to ensure the tickets arrive at the proper location to sell the day of show, phone and internet orders have ended. Tickets will be available at the stadium box office starting at 3pm. Group Tickets will NOT be available for purchase the day of the event. 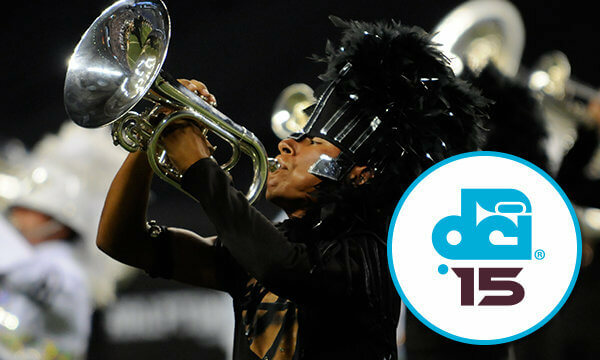 The Drum Corps International Tour will return to Charleston, West Virginia, on Monday, July 27, for the 2015 edition of Drums Across the Tri-State. A dynamic lineup of World Class corps is set to perform at the University of Charleston’s Laidley Field during this annual event. Reserved Seats bought in advance are $23 and $26 on the Day of the Show. General Admission Seats bought in advance are $18 and $21 on the Day of the Show. Laidley Field is a CASH ONLY venue. Groups of 20 or more receives a $2 discount on the advance price in the Reserved and General Admission sections. ** Prices do not reflect additional handling fees. Group Tickets will NOT be available the day of the event. Row 1 is closest to the field. Accessible Seating is general admission located at the front of the GA sections. **Group tickets have $2 processing fee per ticket added during completion of order. This results in a total savings of $4.95 per ticket compared to individual purchases.